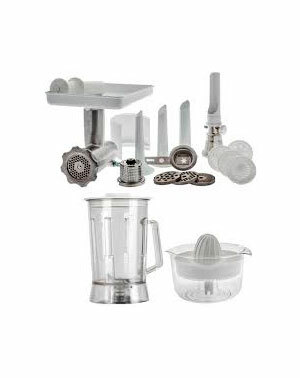 The Ankarsrum Deluxe Package consists of: Blender, Citrus Juicer, Complete Meat Mincer, [3 extra disks (2.5 mm, 6.0 mm, 8.0 mm), Sausage Horns 3/PKG (2.5mm 6.0mm 8.0 mm), Strainer, Grater, Pasta Disks 4/PKG (macaroni, spaghetti, fettuccine and tagliatelle. 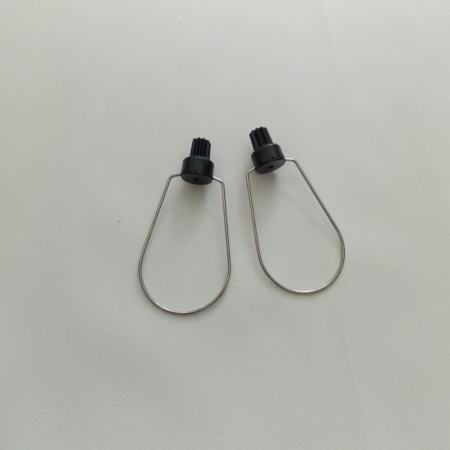 ), and Cookie Attachment] . Ankarsrum Deluxe Package: The Ankarsrum Original Mixer is Sweden’s Kitchen Champion: Since its launch in 1940, the excellently designed Ankarsrum Original has evolved into the world-class mixer it is today. 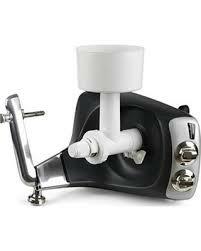 The Original mixer has received Awards of Excellence in Sweden and other European countries. 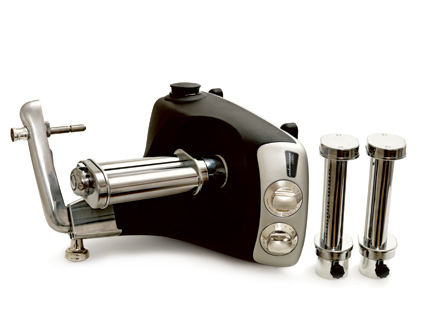 Its unparalleled design has made it the go-to mixer for home bakers and those who love to cook. 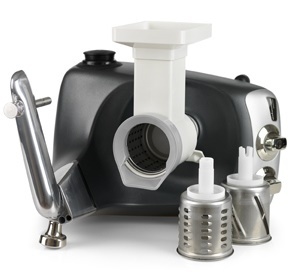 The unique design allows for easy access to the bowl for addition of ingredients without interrupting the mixing process. Nothing on the market today mimics hand-kneading of dough as closely as the Assistent’s roller and scraper action, resulting in a fine textured, smooth elastic dough. The Ankarsrum Original was developed, designed and manufactured in Sweden with the highest regard for quality, your Assistent Original will stand the test of time and be the mixer you can pass on to future generations.